← Raleigh City Farm Annual Harvest Dinner – October 5th! 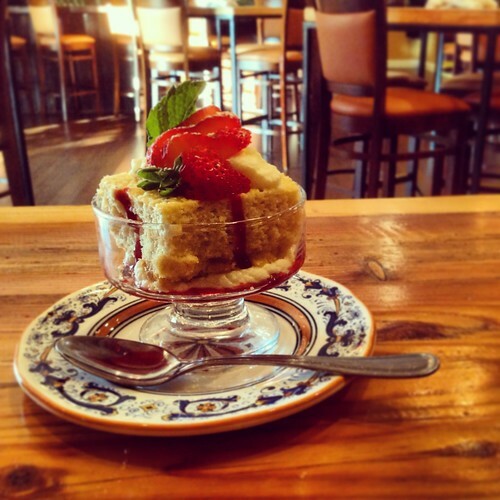 Discover Great Cuban Cuisine at Gregoria’s Cuban Steakhouse in Durham! One of the things I love most about writing this blog is discovering great new places to eat. Sometimes it is a brand new place and other times it is me simply stumbling upon a hidden gem that is “new to me”. This time around it is a little bit of both. You see Gregoria’s Kitchen has been reborn after temporarily closing in 2013 due to a fire. This past January it reopened as Gregoria’s Cuban Steakhouse in a new location on Hillsborough Road in Durham. The new incarnation of Gregoria’s features a bigger space, a revamped look and an enhanced menu featuring home-style Cuban dishes and new menu additions like steaks with Spanish, African and Caribbean influences. Let me get right to the point, the food was FABULOUS! 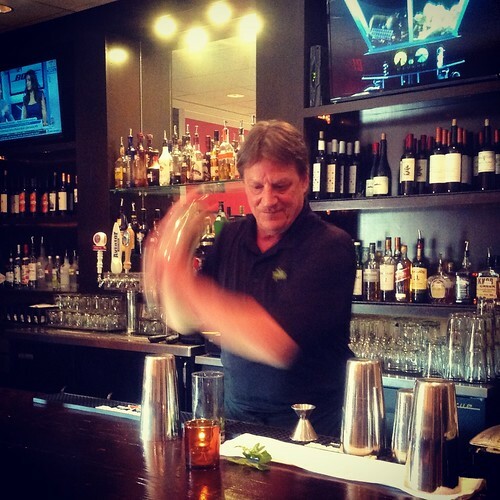 The kitchen is run by veteran executive chef Michael Pirnik. Born in New York of Cuban parents, Chef Pirnik was trained in Paris and has worked in Michelin-starred restaurants in Europe and New York. His menu does a wonderful job of spanning the spectrum of traditional Cuban fare while incorporating new additions to the previous menu. I started of with an assortment of appetizers to familiarize myself with the range flavors. 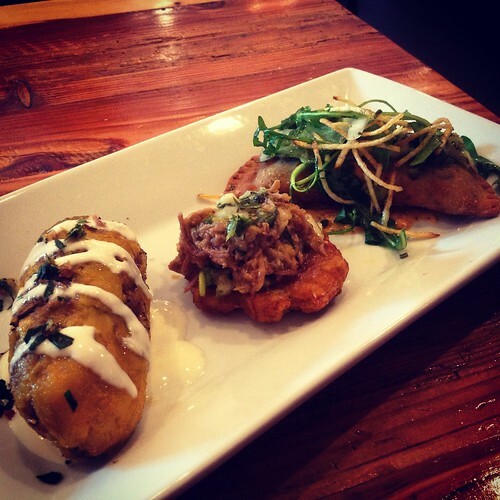 My two favorites were the spinach and cheese empanada, and the platano maduro relleno, a sweet plantain stuffed crisp pork belly & picadillo, drizzled with buttermilk crème. While considering what to get as my entree I was initially drawn to the the traditional Cubano sandwich. However I was also craving some of the more modern fare like the beef-and-chorizo sliders or house-cured pork belly chicharrones. Ultimately I couldn’t resist one of the steak selections added to the revamped menu. 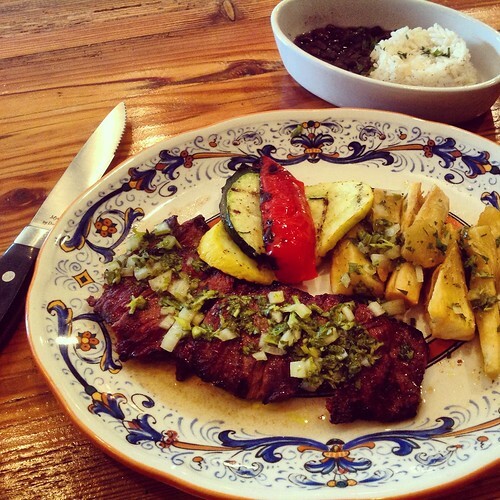 After sharing this dilemma with my friendly waiter I ordered the grilled marinated flank steak, with yuca frita, and chimichurri. The green chimichurri, with it’s finely-chopped parsley, minced garlic, and olive oil, provided the perfect accent to my medium-rare grilled skirt steak. It was so flavorful. I’ve never had yuca before and was pleasantly surprised by the crispy texture and it went really well with the steak. Just an aside, but I was also a big fan of the ornate “Deruta Style” dishes used to plate each course dish. Before I go on more about the food I need to mention a little about the layout and decor of the interior. I enjoy restaurants that offer various seating options since they can suite many different occasions for dining out. 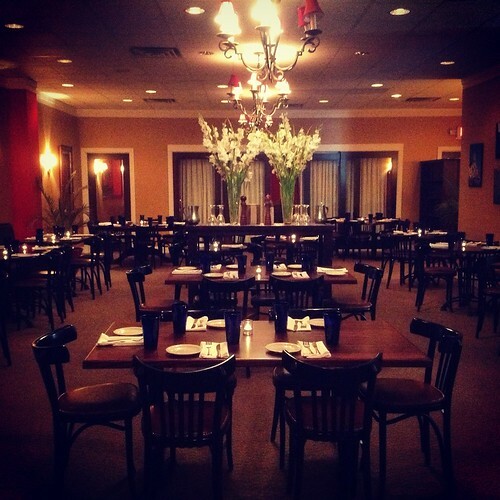 At Gregoria’s the main dining area is spacious and intimate at the same time. It has warm lighting accented by chandeliers and black and white photos of Cuba adorning the earth tone walls. There are both large and small tables making it perfect for a quiet date or meal out with a group of friends and family. There is even a separate room in the rear of the dining room that can be closed off for private parties of up to 60 guests. The bar area provides a casual option with large booths along the rear wall and high-top tables placed spaciously across the dark wood floor. 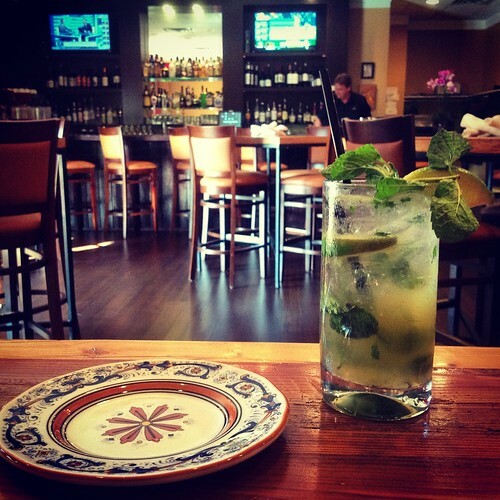 Perfect for a more casual lunch or dinner and drink with friends while enjoying nightly drink specials from the bar. I was there on a Thursday night and had a great $5 mojitos to tame the tickle in the back of my throat. Other weekly specials include 1/2 off bottles of wine on Tuesdays, $5 martinis on Wednesday, and $5 wine by the glass to go along with mojitos on Thursdays. Sunday Brunch drink specials include $5 bloody maria’s and $10 bottomless mimosas. Of course I couldn’t leave without trying one of their deserts. Ive never had Tres leches before but the way my waiter described it I knew I had to try it. I’m sure my foodie friends already new this but a Tres Leches is a sponge caked soaked in three kinds of milk: evaporated milk, condensed milk, and heavy cream. The cake at Greogoria’s is a light fluffy cake with many air bubbles. The perfect texture to ensure it doesn’t suffer from soggy consistency, despite being soaked in a mixture of three types of milk. Topped with sliced strawberry’s the dessert was delightfully sweet and a perfect ending to a great meal. 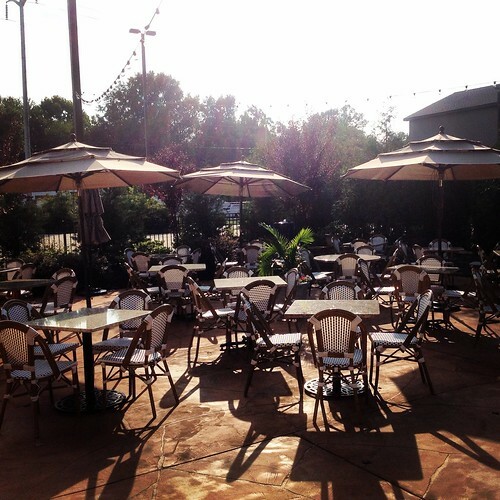 As I prepared to leave I wandered outside though the restuarants secluded outdoor patio. It is a great outdoor area filled with bentwood chairs and tables with umbrellas and strings of suspended lights that reminded me of a dining club at the beach. The manager explained to me they have live salsa music most weekends (Friday / Saturday nights) and even have dancing demos from professional salsa dancers. I’m am always on the hunt for a place to take my wife for salsa dancing (she is a much better dancer than I) so I know we will be back soon! I was really impressed with every aspect of Gregoria’s. From the food to the specials, to the entertainment offerings. I highly recommend checking out this place out whether you are looking for fun date night spot on the weekend or just a great place for delicious Cuban fare on a weeknight. Of special note, if you happen to stop by Tuesday through Thursday they are currently offering a special $20 Three Course Dinner option that is a really a nice deal. As always, if you pay them a visit I’d love to hear what you think. Enjoy! 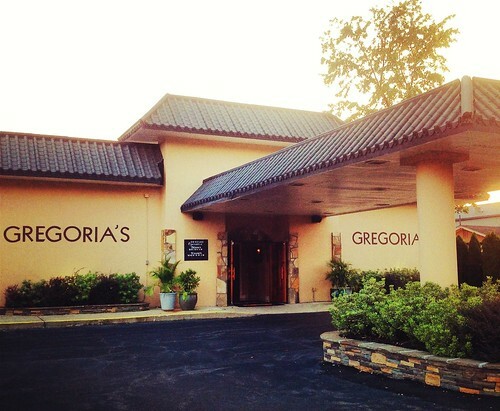 Gregoria’s is open Tuesday through Saturday from 5 to 10 p.m. and Sunday from 5 to 9 p.m. Brunch is also served on Sundays between 10:30 a.m. and 2:30 p.m. To learn more, visit www.gregoriascubansteakhouse.com. the food looks delicious, interesting site, thanks for sharing!